If you have read the travel section on Charlene Chronicles, you know that there is a big Disney focus here! It is such a great family vacation spot, even if you are not big on rides! Plus, I’ve made it three times to the final round of the Disney Moms Panel (from thousands of submissions to less than 100!). This year, I’m also going to the Disney Social Media Moms Conference – an invite only event to learn even more about the magic of Disney and their social media initiatives. 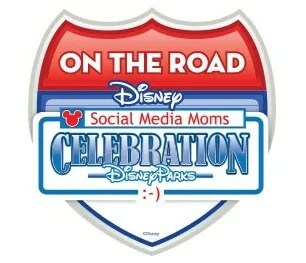 If you did not get an invite, but have a blog and love Disney, then you might want to check out Disney On The Road: the Disney Social Media Moms Celebration On-the-Road. It’s the magic of the Disney off of Main Street, U.S.A.® and to three Main Streets in Portland, OR, New York, NY and Austin, Tx. Its your chance to experience all of the magic, inspiration and surprises that are sure to unfold while showing your #DisneySide! From dynamic speakers and interactive sessions to behind-the-scenes info straight from Disney Parks, its no wonder that previous attendees have come from all over to experience the unique magic of Disney Social Media Moms Celebration On-the-Road. Click here to indicate your interest and if you are selected to attend, you will receive an official invitation by email. Once you receive an invitation, you will have to register for the event and will receive an email confirmation of your attendance. Watch on Twitter – #DisneySMMC, @DisneyMoms for announcement of dates and to be part of the magic all year.